The Activity Alliance has launched a new initiative as part of efforts to offer disabled people more opportunities to get physically active. The three-year Inclusive Activity Programme will deliver more than 600 practical, tailored face-to-face workshops and provide access to ongoing learning and development opportunities for more than 8,500 people. 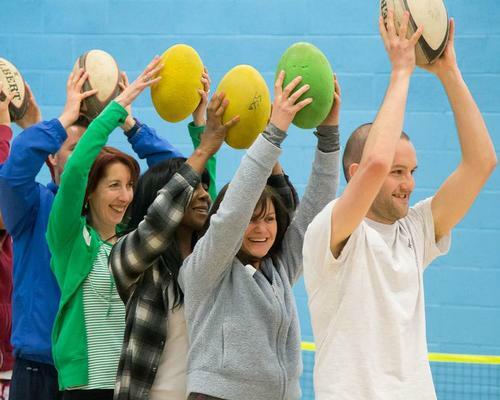 Working with UK Coaching and Sport England, Activity Alliance will engage key groups in specialised training to provide them with advice and pathways to get more active. The end goal is for trainees to be given the tools to tailor their own activity delivery to a variety of audiences, thereby increasing the likelihood of disabled people, and those with long-term health conditions, getting and staying active. The programme has secured £450,000 worth of funding from Sport England. “Inactive people are missing out on a wealth of physical and mental health benefits,” said Sport England executive director Mike Diaper. “Many disabled people want to be active but can be put off by a number of barriers – such as a lack of opportunities and the right support. Research has shown that disabled people are twice as likely to be inactive as non-disabled people, but also that 70 per cent of disabled people want to be more active. Activity Alliance – previously known as the English Federation of Disability Sport (EFDS) – works to enable organisations to support more disabled people to be active.